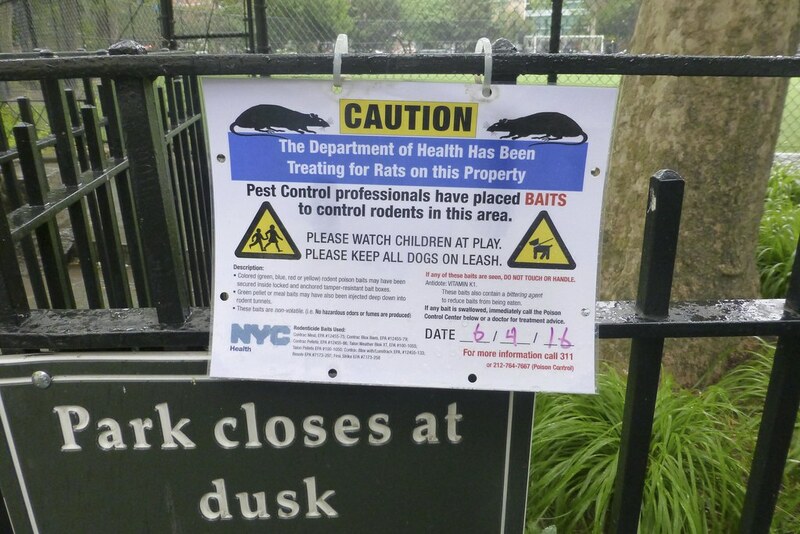 I was dismayed to discover today that the Department of Health has resumed rat baiting in Columbus Park in Chinatown. After the death of a female red-tailed hawk on March 31 was determined to be caused by rodenticide poisoning, the baiting was stopped. Now that the publicity has waned, it's happening again. The surviving male hawk has been seen regularly in the area since the death of his mate. He's been spotted with a second hawk, who could be a new partner. They do not have a nest as far as I know, but they are definitely hunting in Columbus and Collect Pond Parks. This sign is dated June 2. This one is dated June 4. There is no reason not to use alternative methods of rat control such as snap traps. Poison is a lazy, thoughtless, and ultimately ineffective way to deal with a problem. As I walked around the park today in the pouring rain, I imagined how the poison capsules were probably dissolving straight into the soil and groundwater. As an individual, my efforts to ban the use of poison in our public parks has been ineffective. In order for anything to change, the community needs to come together and raise a united voice. The best place to start is to send an email (chin@council.nyc.gov) to Council Member Margaret Chin, who represents this area. To repeat from past posts, the rodenticides being used are super anticoagulants that cause its targets to bleed to death. The poison is indiscriminate and will kill other animals besides rats. And when a predator like a hawk eats a poisoned animal, it dies as well. It's a slow, horrific and inhumane death. Raptors Are The Solution is a great website for information and educational resources regarding the effects of rodenticide. Female hawk dies in Collect Pond Park. Types of rodenticides used and dates of poisoning. 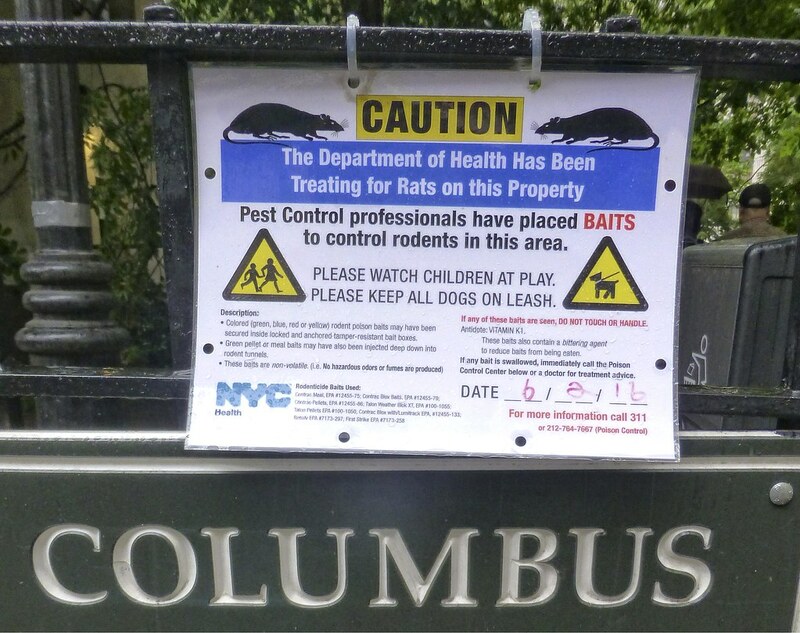 New York state rejects the EPA ban on super-toxic rat poisons. Autopsy results confirm hawk killed by rodenticide.